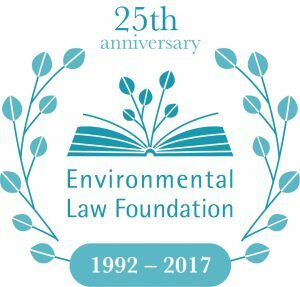 The second Environmental Law Foundation University Pro-Bono Clinic convergence will be taking place at Birmingham Law School on the 8th November from 1:00pm – 4:00pm. The event will be chaired by David Hart QC, Chairman of ELF 12.30 Arrival. 1.00 Introduction: Emma Montlake of ELF Clinic roundup: some of the participating university clinics will give a talk/ roundup on participation in the ELF clinic network. We also have a guest speaker who is not part of the ELF clinic network 1.10 Dr Ben Pontin at Cardiff Law School, director of the ELF Clinic with Efstathios Kosteletos, Cardiff Law clinic student 1.30 Jeremy Roe – ELF enquirer member and new enquiry for Exeter Clinic – will present their local problem with intensive dairy farm. 1.50 Elaine Sherratt – Director at Kent Law Clinic to speak about how they do what they do – discussion of their Whitstable case with James Whitehead and Elliot Denton, Kent Law clinic students 2.10 Questions 2.20 Break – refreshments 2.45 Sarah Bell – Director of the UCL Engineering Exchange 3.05 Lisa Foster Partner at Richard Buxtons solicitors 3.25 Prof Bob Lee, Director of Birmingham Law School 3.45 Questions 4.00 End David Hart will say a few words of thanks, followed by teas and coffees.